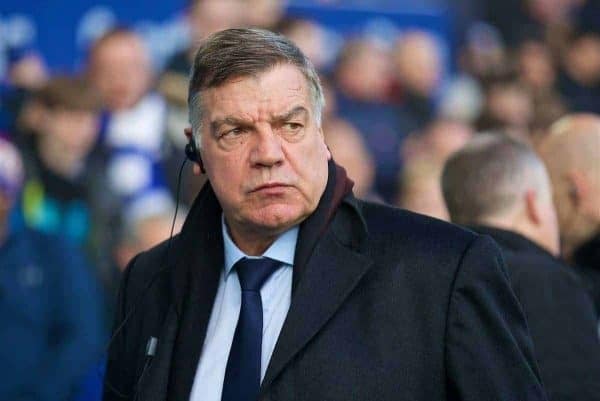 After last weekend’s Merseyside derby stalemate, Sam Allardyce made a series of laughable claims about Everton‘s fortunes compared to Liverpool. 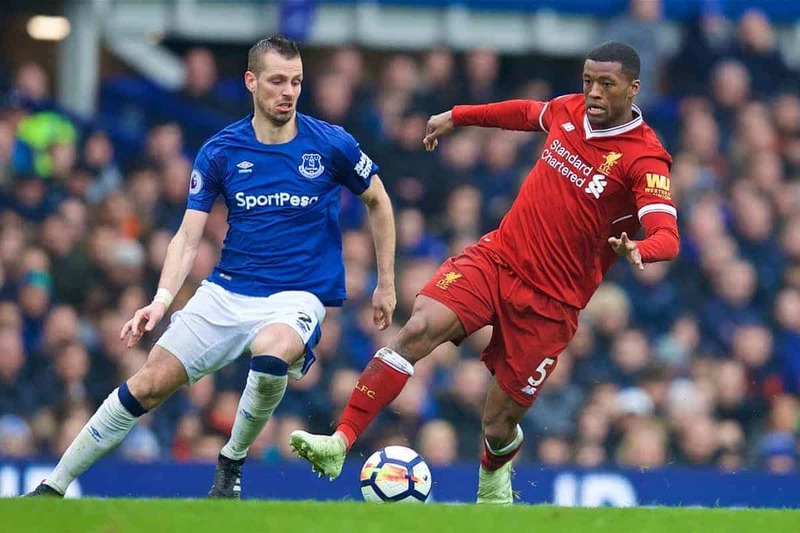 The Reds were held to a 0-0 draw by their city rivals at Goodison Park on Saturday, with their trip across Stanley Park coming between their two biggest games of the season. Jurgen Klopp made five changes for the clash, with Nathaniel Clyne, Ragnar Klavan, Georginio Wijnaldum, Danny Ings and Dominic Solanke brought into the fold. This saw Trent Alexander-Arnold, Andrew Robertson, Alex Oxlade-Chamberlain, Mohamed Salah and Roberto Firmino left out, in a decidedly weaker selection. It came as no surprise to see Liverpool toil against a near full-strength Everton side, with Solanke and James Milner coming closest, drawing saves from Jordan Pickford. The result kept the Reds third in the Premier League, while the Blues remain ninth, 13 points behind sixth-placed Arsenal. “We did a job on Liverpool by nullifying that outstanding attack,” he said, despite only Sadio Mane starting. “They haven’t managed to beat us in the league and have only scored one goal against us. In the context of our season it’s not that bad. The flaws in Allardyce’s suggestions are clear, and are certainly familiar from a Liverpool perspective: Roy Hodgson made similar assertions back in 2010. Seven-and-a-half years on and Liverpool have not lost in the Merseyside derby since, winning eight and drawing nine, with their last victory coming over Allardyce in the FA Cup in January. There is little denying the Blues are on a downward trajectory, and it only serves to highlight how far their rivals have come under Klopp. Klopp has led his side to four wins and two draws against Everton, scoring 10 and conceding just three, and it can even be argued that the latest 0-0 draw was a positive one given the circumstances. A heavily rotated Liverpool, turning out between two Champions League quarter-final victories over Man City, were more than a match for Everton, who will only move forward if Allardyce departs.